TORONTO , May 15, 2018 /CNW/ - Cobalt Power Group Inc. ("Cobalt Power") (TSX.V: CPO, OTC Pink: CBBWF) is pleased to announce an independent sampling program of muckpile material in the Cobalt Camp to determine the amenability of recovery of the historically processed mineralization and the sustainable management of these resources. First Cobalt Corp. ("First Cobalt") (TSX.V: FCC, ASX: FCC, OTCQX: FTSSF) has agreed to share information from its sampling program and review the results of Cobalt Power's program for suitability as feed material to the First Cobalt Refinery. "We are very pleased to have input from First Cobalt on this program. As one of the larger land owners in the Cobalt camp, we believe that we are well positioned to enhance the long-term value of Cobalt Camp operations through our best practices," said Greig Hutton , President, CEO of Cobalt Power. "By potentially processing the muck piles, we could benefit the environment and the community of Cobalt as a whole through the clean-up of historical mining sites, and possibly generate economic recovery of valuable metals. Cobalt Power's program is intended to further the goal of developing a viable muck pile resource. 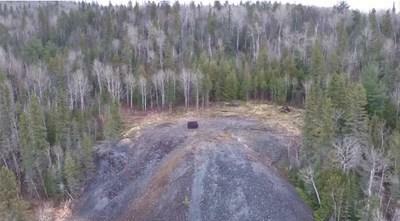 First Cobalt has agreed to share information from a muckpile sampling program it initiated in the fall of 2017 and to review the results of Cobalt Power's program to identify the suitability of Cobalt Power's material as potential feedstock for processing opportunities using the First Cobalt mill and refinery complex. The muck piles are rock that has been blasted during previous historic mining operations in Cobalt Camp. This material did not contain high grades of silver so it was left on the surface and considered waste by previous operators. Previous selective grab sampling of the Smith Cobalt muck pile by Cobalt Power returned an average grade of 0.5% cobalt, as well as significant concentrations of silver, copper and nickel (see Company News Release January 9 , 2017). Grab samples are selective in nature are not necessarily representative of mineralization hosted on the property. The Company will undertake a drone survey over all of the historic muck piles on its Cobalt Camp properties as soon as the winter snow accumulation has cleared from the ground.